God’s Plans or Your Plans? What are your thoughts for tomorrow? What are your thoughts for your life? Have you become consumed with planning but never getting anywhere? Plans are good but they can also consume you. My life was consumed with ‘To Do Lists’. I had scraps of paper everywhere with a list of things I thought I needed to get through the day. There was a time in my life when I could not make a move without my list of things to do. So what changed? I changed. Priorities changed. God became FIRST! God taught me what was really important. 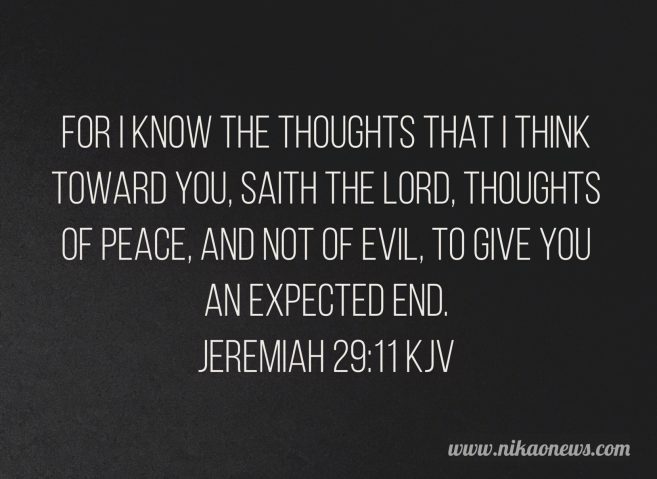 God says in His Word, I know your thoughts. (Some versions say “plans”). God knows everything about us. There is a peace which cannot be described nor understood when you allow God into your life. Always remember God comes first in everything. 13 And ye shall seek me, and find me when ye shall search for me with all your heart. In order to understand the context of Jeremiah 29:10 and the Babylonian Captivity click here. Do you want to know more about the Babylonian Captivity? Click here. Check out Francis Frangipane’s book I Will Be Found Of You. Be totally and outrageously blessed! My friend, continue to be that light for all of us!